OFFER AND ACCEPTANCE. The quotation issued by Lapeer (“Quotation”), whether or not in response to an request for quotation process, and as may be amended from time to time, is an offer to enter into a requirements contract with the Buyer (as identified on the Quotation) to sell 100% of the Buyer’s requirements of the products described on the Quotation (the “Products”) for the life of the OEM vehicle program (the “Program”) for which the Products are to be used, not including any extensions or renewals of such Program and/or model refreshes, as reflected in the Program Life set forth on the Quotation. The drawings, specifications, preliminary statements of work and assignment of tasks and responsibilities, as they are agreed to and may be amended by agreement of the Buyer and Lapeer from time to time, are incorporated herein by reference, all of which, together with these Terms and the Quotation, constitute the “Agreement”. Neither the Quotation, any acknowledgement document or other document issued by Lapeer nor Lapeer’s manufacture or delivery of Products shall constitute an acceptance of any terms and conditions attached to or incorporated into any request for quotation, purchase order or other document issued by Buyer, and any such general terms and conditions issued by Buyer are specifically excluded and not incorporated into the Agreement. Any of the following acts by Buyer shall constitute its acceptance of the Quotation and all terms and conditions contained herein in their entirety: (i) acknowledging the Quotation; (ii) issuing a purchase order for the Products on the same or substantially the same terms as reflected on the face of the Quotation; (iii) accepting delivery of the Products; or (iii) by other conduct which fairly recognizes the existence of a contract for the purchase and sale of the Products. Any additional or different terms proposed by Buyer, whether in its purchase orders, request for quotation materials, material releases, delivery schedules, or otherwise, are unacceptable to and expressly rejected by Lapeer and are not part of the Agreement and shall have no effect with respect to any purchases of Products by Buyer. Lapeer will not be bound to any provisions in the contracts between Buyer and its customer(s). Acceptance by Buyer of this offer and Lapeer’s performance under any purchase order issued by Buyer is expressly limited to and conditioned upon Buyer’s acceptance of the terms of the Quotation and these Terms exclusively. PRICING. The price for the Products are listed on the face of the Quotation and are not subject to decrease on account of pricing to any other Lapeer customer, benchmarking activities of Buyer, the receipt by Buyer of a quotation for the Products at a lower price, or on account of any yearly pricing decreases unless specifically set forth on the face of the Quotation. The prices are subject to increase in accordance with provisions contained in the Quotation and, unless otherwise stated in the Quotation, shall include a dollar-for-dollar pass through to Buyer of increases in raw material and freight prices from the baseline contained in or used in the Quotation, an increase in the price to account for currency exchange rate increases greater than 5% between the currency of payment and the currency of the country in which the Products are manufactured, and an increase in the price reflecting the higher piece price cost for any decrease in annual volumes greater than twenty (20%) from estimates provided by Buyer during the quoting process. In addition to the price of the Products as stated in the Quotation, any and all taxes (not including any income or excess profit taxes) that may be imposed by any taxing authority, arising from the sale, delivery, or use of the goods and for which the Lapeer may be held responsible for collection or payment either on its own behalf or on behalf of the Buyer, shall be paid by the Buyer to Lapeer upon Lapeer’s demand. The price paid to Lapeer shall not be reduced on account of any price reduction or compromise on receivables that Buyer may agree to with Buyer’s customer for the components, systems or assemblies which contain the Products. Lapeer will provide sufficient documentation (without disclosing its confidential and proprietary information) to evidence any of the price increases received pursuant to this paragraph. Buyer’s failure to provide the price increases required hereunder shall be deemed a material breach of the Agreement. CHANGES. Unless specifically agreed to in writing by Lapeer, Lapeer shall have no obligation to implement any change requested by Buyer to the Agreement, including any obligation to supply production Products beyond the Program Life specified in the Quotation, or to the Products, including the design, specifications, materials, packaging, testing requirements, shipping date, time or place of delivery. To the extent that any such requested change is agreed upon by Lapeer, the parties will negotiate in good faith and agree upon an appropriate adjustment to the time for performance, an equitable price adjustment, and the amount of reimbursement by Buyer for the costs of any finished Products or raw materials or supplies which become obsolete or any other costs and/or appropriate adjustment resulting from the requested change before Lapeer is under any obligation to commence work on any such agreed upon change. In addition, all costs and expenses associated with the implementation of any such requested change shall be paid by Buyer in advance, or, if agreed to in writing by Lapeer, within thirty (30) days of the date of the invoice. If Lapeer requests a change to the Products, Buyer shall not unreasonably deny such request and, in any event, shall provide its response to such request in writing within a reasonable time after receipt of the request and, in any event, no later than sixty (60) days after receipt of the request. To the extent that Lapeer’s requested change to the Products offers cost savings and Buyer denies Lapeer’s requested change for any reason other than a safety concern as evidenced by Buyer to Lapeer’s satisfaction or fails to timely respond to Lapeer’s request, then Lapeer shall not be required to provide Buyer with any productivity discounts or other price decreases set forth in Lapeer’s Quotation. To the extent that Lapeer’s requested change to the Products offer improved quality and/or safety and Buyer denies Lapeer’s requested change or fails to timely respond to Lapeer’s request, then all Products manufactured by Lapeer from the date of Lapeer’s request on shall be sold “AS IS” without the warranty specified in Section 9, and all claims, damages, losses, costs, expenses or other liabilities arising from or related to the such Products, whether incurred by Buyer or a third party, shall be entirely the responsibility of Buyer. DELIVERY, TITLE, RISK OF LOSS AND RIGHT OF REPOSSESSION. Delivery dates are estimated and are not guaranteed. Lapeer will use reasonable efforts to meet Buyer’s requested delivery dates, provided Buyer has complied with the applicable lead time requirements. Unless otherwise stated on the face of the Quotation, the delivery term shall be EXW Lapeer’s warehouse facility listed on the face of the Quotation (Incoterms 2010). Title and the risk of loss of or damage to all Products sold will pass to Buyer upon delivery of the Products as determined by the Incoterms delivery term. Until the Products have been paid for in full, Buyer, or any agent of Buyer or third party: (i) will hold the Products subject to a security interest or lien in favor of Lapeer allowing for the right or re-possession by Lapeer to the extent permitted by applicable law, (ii) will not alter, remove, destroy, or damage any identifying mark on the Products or their packaging, and (iii) will keep the Products separate from any other products. Lapeer may take possession of the Products at any time after payment for the Products or any other payment owed to Lapeer has become due. RELEASES. Unless otherwise specified on the face of the Quotation, Buyer shall provide Lapeer a total of 4 weeks of firm releases for finished Products and will provide 4 additional weeks of firm authorization to purchase raw materials and no less than 12 additional weeks for planning volumes. If the Quotation contains a maximum daily, weekly, monthly, and/or annual maximum capacity (“MCR”): (i) Lapeer is not obligated to manufacture or ship Products in excess of the MCR whatsoever, (ii) Lapeer is not obligated to increase its capacity to supply Buyer in excess of the MCR in the absence of mutual agreement; (iii) is not obligated to supply at any MCR for longer than 4 weeks, at which point Lapeer shall be obligated only to supply at LCR for at least another 2 weeks before being required to supply at MCR volumes, and (iv) if Lapeer agrees to any increase in capacity, the parties must agree to new pricing or other terms and a delivery schedule before Lapeer is obligated to ship any quantity above the MCR. INSPECTION. The remedies afforded Buyer under paragraph 9 hereof entitled Warranty shall be exclusive for non-conforming Products but shall unavailable to Buyer if Buyer inspected or reasonably should have inspected the Products and could have discovered the non-conforming Products upon such inspection. PAYMENT. Unless otherwise provided on the Quotation, payment for the Products shall be made Net 30 days from the date of delivery in United States dollars via electronic funds transfer, with no discount for earlier payment. In the event that Lapeer has reasonable doubt as to Buyer’s credit worthiness, or in the event of a substantial risk of its claim to payment due to declining assets of the Buyer, or in the event that the Buyer is in arrears with respect to payment for Products, Lapeer may require advance payment or collateral and may refuse fulfillment of further shipments until its demand is fulfilled. If Buyer becomes delinquent in payment or refuses to accept C.O.D. shipments, Lapeer shall have the right, in addition to any other right it may have, to cancel any order of Buyer, to withhold further deliveries, and declare all unpaid amounts for Products previously delivered immediately due and payable. PACKAGING. The Products to be delivered hereunder shall be packaged and shipped as provided in the Quotation. In the absence of such a provision in the Quotation, the Products shall be packaged in accordance with sound commercial practice. If Lapeer is required to use Buyer’s returnable packaging and such packaging is unavailable, Lapeer may use expendable packaging, the costs of which Buyer will reimburse Lapeer. Unless otherwise provided on the face of the Quotation, export or other special packaging will be an additional charge to the Buyer. WARRANTY. (a) Unless otherwise set forth in the Quotation, Lapeer warrants to Buyer that, at the time of delivery, the goods will be free from defects in material and workmanship and will conform to the applicable specifications as stipulated in the Quotation or otherwise agreed to in writing by Lapeer. Lapeer is not responsible for or liable to Buyer in damages (for breach of warranty or otherwise) arising out of or related to the selection of the Products for Buyer, the integration of the Products into any assembly manufactured by Buyer, placement of the Products within Buyer’s assembly or the vehicle and/or additional shielding or protection of the Product as a result of the environment in which it operates. Unless otherwise specified in the Quotation, the length of the warranty shall be 1 year from delivery to Buyer. Non-conformance of the Products with this warranty shall be determined either by mutual written agreement of the Parties, or, in the event that the Parties cannot reach such agreement, by a joint root cause analysis of all (or, if impracticable, a random statistically significant sample, as agreed by the Parties) of the Products and the entire system or assembly into which the Products are incorporated and/or controlled by that could have contributed to the alleged non-conformity of the Products in which Lapeer is allowed to fully participate and do its own testing. Conformance of the Products to Buyer’s written specifications is an absolute defense to warranty liability. In the event that the Products are non-conforming, as determined in accordance with this Section, Lapeer’s sole liability to Buyer and/or Buyer’s customer(s) and Buyer’s and/or Buyer’s customer’s sole and exclusive remedy under this warranty (whether or not the non-conforming Products have been installed in vehicles and must be the subject of a recall, customer satisfaction or other service campaign or similar action) is limited to the repair or replacement of the non-conforming Products; provided, however, that written notice that the Products are potentially non-conforming must be given by Buyer to Lapeer within ninety (90) days after the delivery of the Products or, if Buyer’s inspection of the Products could not have uncovered the potential non-conformance, within thirty (30) days after Buyer knew or reasonably should have known that the Products were potentially non-conforming, including, but not limited to, through information received from Buyer’s direct or indirect customer. Transportation charges for the return of purportedly non-conforming Products to Lapeer and the shipment of replacement Products to Buyer will be borne by Lapeer only if such goods are returned in accordance with Lapeer’s instructions. Specifically excluded from this paragraph and any warranty are the following, for which Lapeer shall have no liability whatsoever: (i) Product design defects; (ii) defects or damage caused by unauthorized or improper attachment, installation, alteration, repair, maintenance (including failure to provide appropriate maintenance), handling or operation of the Products by Buyer or any third party; (iii) Products considered by Lapeer to be samples, prototype, development or pre-production, which are provided on an “AS IS” basis only; (iv) any component, system, or assembly not manufactured or sold by Lapeer and/or the integration, incorporation, interaction, connection, placement, or use of conforming Products in or with any such component, system, or assembly, (v) Products that have been subject to damage attributable to or caused by: (a) misuse, abuse, or vandalism or any transit related damage; (b) acts of God or insurrection; (c) normal wear and tear; (d) or any other acts that are beyond Lapeer’s reasonable control. THE FOREGOING WARRANTIES ARE EXCLUSIVE AND ARE GIVEN AND ACCEPTED IN LIEU OF ANY AND ALL OTHER WARRANTIES, EXPRESSED OR IMPLIED, INCLUDING, WITHOUT LIMITATION, THE IMPLIED WARRANTIES AGAINST INFRINGEMENT, OF MERCHANTABILITY AND FITNESS FOR A PARTICULAR PURPOSE. THE REMEDIES OF THE BUYER SHALL BE LIMITED TO THOSE PROVIDED HEREIN TO THE EXCLUSION OF ANY AND ALL OTHER REMEDIES. NO AGREEMENT VARYING OR EXTENDING THE FOREGOING WARRANTIES, REMEDIES OR THIS LIMITATION WILL BE BINDING UPON LAPEER UNLESS IN WRITING AND SIGNED BY A DULY AUTHORIZED OFFICER OF LAPEER. SERVICE PARTS. Unless otherwise specified in the Quotation, Lapeer will manufacture service parts for a maximum period of 5 years after end of serial production. Lapeer will have no obligation to supply service parts beyond the period of time specified in the Quotation, or, if not specified therein, beyond 5 years after the end of serial production. The price for the first year will be the price for production Products in effect in the last year of production plus the actual cost differentials for packaging and materials. For all remaining years, the parties shall agree to an adjustment in the price which compensates Lapeer for the increased costs of manufacture as a result of service volume levels. TERMINATION. Lapeer may terminate the Agreement as a result of Buyer’s: (i) breach, threat to breach and/or repudiation of any representation, warranty or other term of the Agreement; (ii) making an assignment for the benefit of creditors, or proceedings in bankruptcy or insolvency are instituted by or against Buyer; (iii) request for accommodation from Lapeer, financial or otherwise, in order to meet its obligations under the Agreement; (iv) entering or offering to enter into a transaction that includes a sale of a substantial portion of its assets or a merger, sale or exchange of stock or other equity interests that would result in a change in control within the meaning of the Internal Revenue Code and regulations issued thereunder; or (v) financial or other condition that could, in Lapeer’s sole judgment, endanger Buyer’s ability to perform. Buyer may only terminate the Agreement upon a material breach by Lapeer which remains uncured forty-five (45) days after Lapeer’s receipt of written notice of such breach from Buyer. If this Agreement is terminated prior to the end of the Program for any reason, in addition to all other rights Lapeer may have hereunder or other at law or in equity, Buyer shall, within forty-five (45) days, pay to Lapeer: (i) the contract price for all finished Products manufactured prior to termination; (ii) the cost of all work in process (based upon the contract price multiplied by percentage completion); (iii) the cost of all raw materials and components purchased by Lapeer in connection with the Agreement; (iv) all costs anticipated by Lapeer to be amortized in the Product piece price over the expected volumes of the Program as reflected in the Quotation including, without limitation, for research and development, capital equipment, tooling and machinery; and (v) Lapeer’s costs for settling claims or disputes with its sub-suppliers in connection with component parts, raw materials, or services related to the Products. Unless separately agreed in writing by Lapeer, Lapeer shall have no obligation to assist Buyer transition production of the Products to another supplier under any circumstances. In the event Buyer properly terminates this Agreement, Lapeer is not obligated to release any of Buyer’s Tooling (as defined in Section 16) nor provide any separately agreed upon transition support relating to the supply of the Products to Buyer, if any, until Buyer makes all termination payments. EXCUSABLE DELAYS. Lapeer shall not be liable for any failure to perform or delay in performance when due to delays of directed suppliers, acts of God, compliance in good faith with any applicable foreign or domestic government regulation or order whether or not it proves to be invalid, fires, floods, windstorms, other natural disasters, riots, wars, labor disputes (including strikes or lockouts), inability to obtain power, components, materials, transportation, or equipment or any other cause beyond the reasonable control of Lapeer. To the extent that such causes Lapeer to reduce or suspend its production and deliveries, the time for the performance shall be extended for as many days beyond the date thereof as are required to obtain removal of such causes. 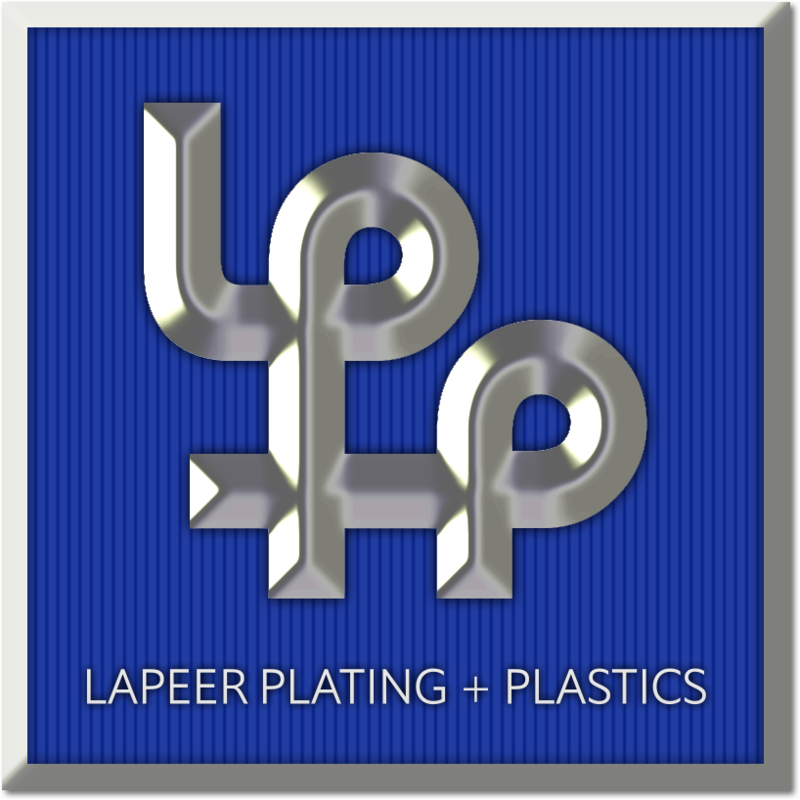 Buyer shall pay all additional costs if Lapeer must resource any component (or purchase the finished Products from another source) to meet Buyer’s requirements. This provision shall not, however, relieve Lapeer from providing Buyer with prompt notice of any cause for delay or from using its best efforts to avoid or remove such causes and continue performance with reasonable dispatch whenever such causes are removed. LIMITATION AND EXCLUSION OF LIABILITY. In the event any remedy hereunder fails of its essential purpose and monetary damages may be imposed, Lapeer’s liability, whether founded in contract or tort (including negligence), arising out of or resulting from (i) this Agreement or the performance or breach thereof, (ii) the design, manufacture, delivery, sale, repair, replacement or use of Products (iii) the furnishing of any such service, except in the case of Lapeer’s gross negligence and/or willful and intentional misconduct, shall not exceed, in any given year, a maximum of 1% of the prior calendar year’s total Product revenues, and, shall not exceed, over the course of the Program Life, a maximum aggregate of 5% of total Product revenues. NOTWITHSTANDING ANYTHING CONTAINED HEREIN TO THE CONTRARY, LAPEER SHALL NOT BE LIABLE TO BUYER FOR ANY INDIRECT, INCIDENTAL, CONSEQUENTIAL OR OTHER DAMAGES SUSTAINED BY BUYER, INCLUDING, WITHOUT LIMITATION, SPECIAL, EXEMPLARY, PUNITIVE DAMAGES, LOSS OF PROFITS, RECALL-RELATED EXPENSES, LOSS OF USE OF THE PARTS, COST OF CAPITAL, COST OF ANY LINE STOPPAGES OR PLANT SHUTDOWNS OR ANY DAMAGES CLAIMED BY BUYER’S CUSTOMER. INTELLECTUAL PROPERTY. In the absence of a written agreement to the contrary, all right, title to, and interest in all intellectual property (including patents, trade secrets, copyright, design rights, and trade marks) and materials (including all plans, diagrams, specifications, designs, data, drawings and models) which are developed, designed or generated by Lapeer in the performance of the Agreement shall be owned by Lapeer as legal and beneficial owner. Buyer is granted a limited non-exclusive license to use, sell and repair the Products as needed to incorporate the Products into its assembly. All right, title to and interest in all intellectual property (including patents, trade secrets, copyright, design rights, and trade marks) and materials (including all plans, diagrams, specifications, designs, data, drawings and models) which are developed, designed or generated by Buyer shall be owned by Buyer. Lapeer shall conduct, at its own expense, the entire defense of any claim, suit or action alleging that the use or resale by Buyer or any subsequent purchaser or user of the Products directly infringes any US or European patent, but only on the condition that (a) Lapeer receives prompt written notice of such claim, suit or action and full opportunity and authority to assume the sole defense thereof, including settlement and appeals, and all information available to and the cooperation of Buyer for such defense; (b) the Products were made according to a specification or design furnished by Lapeer, or, if a process patent is involved, the process was recommended in writing by the Lapeer, and (c) the claim, suit, or action is brought against Buyer or an entity expressly indemnified by Buyer. Provided all of the foregoing conditions have been met, Lapeer shall, at its own expense, either settle said claim, suit or action or shall pay all damages excluding any and all incidental, indirect, accidental or consequential damages, and costs awarded by the court therein (“Lapeer’s Defense Obligation”) If the use or resale of such goods is finally enjoined, Lapeer shall, at Lapeer’s option, (i) procure for Buyer the right to use or resell the Products, (ii) replace the Products with equivalent non-infringed goods, (iii) modify the Products so they become non-infringing but equivalent, (iv) refund the purchase price (less a reasonable allowance for use, damage and obsolescence) to the Buyer. INDEMNIFICATION. To the fullest extent permitted by law, Buyer expressly agrees to indemnify and hold harmless Lapeer, its affiliates, officers, directors, employees, agents, successors and assigns (“Indemnitees”) and defend the Indemnitees from and against any and all claims, liabilities, lawsuits, losses, costs, expenses, or damages (including reasonable attorney and professional fees) of any kind or nature whatsoever, including, without limitation, claims for personal injury (including death) or property damage, whether such claims are premised on contract, tort or otherwise, including strict liability, which arise out of or result from, or are in any way related to the Agreement and/or the Products sold hereunder, except to the extent of Lapeer’s willful misconduct or gross negligence. Lapeer’s obligation to indemnify, defend and hold Buyer harmless arising from any set of facts is limited to: (i) claims brought by third-parties unrelated to Buyer; (ii) the damages are caused by a non-conforming Product and/or Lapeer’s negligence; and (iii) Buyer is without fault. Lapeer will conduct the defense of the claim in accordance with Lapeer’s Defense Obligation set forth above. All liability shall be apportioned in relation to the fault of Lapeer, Buyer and any other supplier which might be liable. Lapeer shall have no indemnification obligation whatsoever to the extent that the claims, liabilities, lawsuits, losses, costs, expenses, or damages arise from and/or are caused by: (i) Product design defects; (ii) defects or damage caused by unauthorized or improper installation, alteration, repair, maintenance (including failure to provide appropriate maintenance), handling or operation of the Products by Buyer or any third party; (iii) any component, system, or assembly not manufactured or sold by Lapeer and/or the integration, incorporation, interaction, connection, placement, or use of conforming Products in or with any such component, system, or assembly, (v) Products that have been subject to damage attributable to or caused by: (a) misuse, abuse, or vandalism or any transit related damage; (b) acts of God or insurrection; (c) normal wear and tear; (d) or any other acts that are beyond Lapeer’s reasonable control. BUYER’S PROPERTY. All materials, tools, dies, special dies, patterns, jigs, gauges, fixtures, drawings, designs, samples, tooling aids, molds and/or any other property that is separately negotiated and fully paid for by Buyer in accordance with the payment terms set forth in the Quotation or other otherwise under a separate written agreement shall become the property of Buyer (“Buyer’s Property”). During its use at Lapeer’s facility, Buyer’s Property shall be held for the exclusive use of Buyer and shall be maintained in accordance with Lapeer’s usual preventative maintenance practice. Lapeer shall be under no obligation whatsoever to maintain, repair, or replace any of Buyer’s Property beyond that normal preventative maintenance required to allow for production of the estimated volume at the capacity rates and other terms set forth in the Quotation. Buyer shall bear the risk of ordinary wear and tear, loss or damage other than such intentionally caused by Lapeer. At the request of Buyer and to the extent practicable, Buyer’s Property shall be identified by appropriate markings. Prices for Buyer’s Property do not include transportation costs, storage beyond completion of the Agreement, or the costs of marking or packaging. Buyer acknowledges that Lapeer’s possession of Buyer’s Property is integrally related to Lapeer’s performance under the Agreement. Consequently, upon termination, expiration or cancellation of the Agreement, Lapeer shall have a lien on and may maintain possession of Buyer’s Property until Lapeer is paid in full for all amounts due under the Agreement. Furthermore, Buyer shall not have any interest in or right to purchase any property, including tooling, owned by Lapeer or any other party, even if such property is used in the production of the Products. SETOFF. Buyer acknowledges and agrees that it may not set off or otherwise debit against or recoup from any amounts due or to become due to Lapeer, any amounts due or become due to Buyer, unless and until Lapeer agrees in writing to such setoff or recoupment, and that shall not exercise any right to setoff or recoupment in connection with any disputed, contingent, or unliquidated claim. In the event Buyer fails to the comply with the foregoing and improperly sets off, debits or recoups from amounts due or to become due to Lapeer, Lapeer shall be entitled, in addition to all of its other rights hereunder or otherwise, to withhold shipments of Products until Buyer reverses such improper set off, debit and/or recoupment. CONFIDENTIALITY. Any and all information, in whatever form transmitted, and items embodying information (including photographs, samples, models, prototypes) disclosed by or on behalf of Lapeer to the Buyer or to which Buyer is exposed, including, without limitation, manufacturing methods, procedures, processes, technologies, know-how, trade secrets, formulas, ideas, inventions, drawings, specifications, product data, designs, software, business plans, marketing plans, business operation information, financial information, pricing information, strategies, customer lists, supplier lists, and any representations, compilations, analysis, and summaries of the foregoing (“Confidential Information”) shall be held by Buyer in strict confidence and used solely for the purpose of doing business with Lapeer. Buyer shall restrict access to and limit disclosure of Lapeer’s Confidential Information to only those of Buyer’s employees, directors, officers, and advisors with a need to know the information to accomplish the purpose of this Agreement, provided that they have been instructed and are bound in writing not to disclose the Confidential Information or use it for any purpose other than as permitted under this Agreement and that Buyer shall at all times be fully liable to Lapeer for any breach of this Agreement by such persons and any entities. Buyer shall not disclose or transfer any of Lapeer’s Confidential Information, either directly or indirectly, to any other person or entity without the written consent of Lapeer. Unless Lapeer is in default of its obligations and has failed to cure such default, Lapeer shall have no obligation to provide any of its financial or other Confidential Information to Buyer. 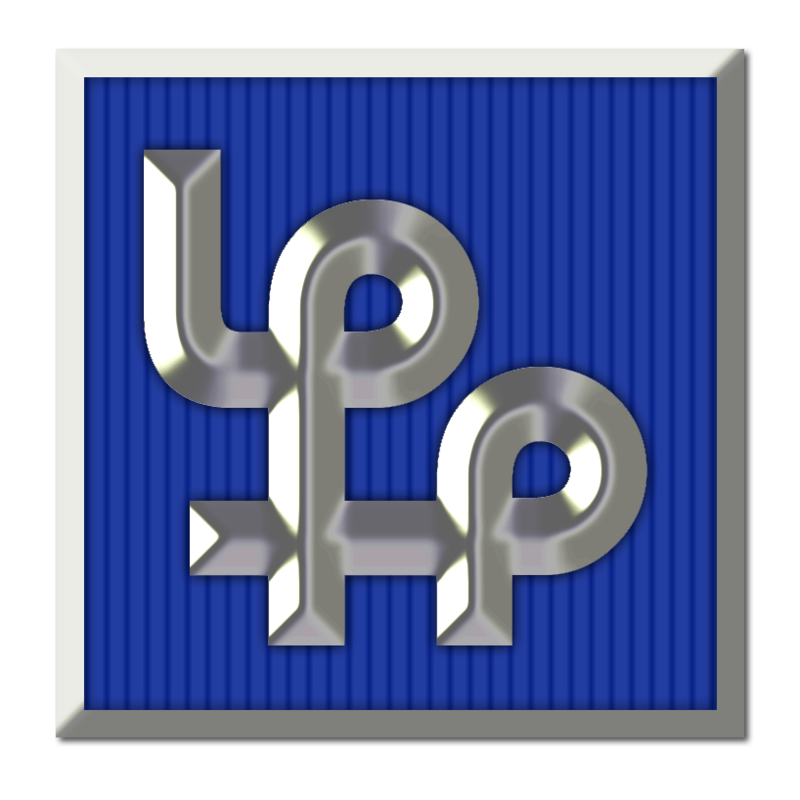 In the event of an uncured default or proper request for adequate assurance of performance, Lapeer is required only to produce limited financial or other Confidential Information relevant to the default and ability to perform its obligations in the future and only after mutually agreed upon procedures have been established for review of such information. Notwithstanding the foregoing, Lapeer shall remain entitled to contest whether Buyer has reasonable grounds for insecurity as to Lapeer’s performance. BUYER’S CONTRACTS WITH ITS CUSTOMER. Regardless of whether Buyer was directed to use Lapeer for the manufacture of the Products, Lapeer is a supplier to Buyer only, and unless Lapeer has signed a separate agreement with Buyer’s customer, Lapeer shall not be bound by any terms and conditions imposed upon Buyer by Buyer’s customer, whether or not Lapeer has notice of such terms. Buyer’s obligations under the Agreement will not be affected by: (i) the filing of a bankruptcy or insolvency proceeding or an assignment for the benefit of creditors by or against Buyer’s customer under the laws of any country; (ii) a consensual, negotiated or Court imposed or authorized amendment, modification, supplementation, or termination of the contract between Buyer and its customer unless Lapeer has consented to such amendment, modification, supplementation, or termination of the contract in writing, or (iii) any agreement, resolution, or compromise that Buyer may agree to with Buyer’s customer with respect to any dispute involving the components, systems or assemblies which contain the Products, including, without limitation, for any breach of warranty and/or recall, and (iv) failure of Buyer’s customer to timely pay Buyer for any equipment or tooling or any components, systems, or assemblies containing the Products. COMPLIANCE WITH LAWS. In the performance of the Agreement, Buyer shall fully comply with all applicable laws, statutes, rules, regulations, conventions, orders, standards and ordinances, including, without limitation, all applicable anti-corruption laws, including the U.S. Foreign Corrupt Practices Act and the U.K. Bribery Act 2010, as such acts may be amended from time to time. EXPORT CONTROLS. Lapeer and Buyer acknowledge and agree that the Products sold hereunder are subject to export controls imposed by the United States government under various federal laws. Buyer agrees that it will not export or re-export or otherwise transfer any Products or technical data provided hereunder to any country, person, entity or end-used subject to U.S. export restrictions. Buyer specifically agrees not to export or re-export the Products or technical data hereunder (i) to any country or party to which the United States has, at the time of the transfer, embargoed or restricted the export or reexport of the relevant products or services; (ii) to any end-user who the Buyer knows will utilize the Products or technical data in for any purposes prohibited by applicable law or regulations including, without limitation, in the design, development or production of nuclear, chemical or biological weapons; or (iii) to any end-user who has been prohibited from participating in U.S export transactions by any federal agency of the U.S. government. Lapeer may refuse to enter into or perform any order, and may cancel any order, placed under this Agreement if it determines, in its sole discretion, that entry into or performance of such order would violate any applicable law or regulation of the United States or any other government. ASSIGNMENT. Buyer may not assign this Agreement, in whole or in part, without the prior written consent of Lapeer. Any attempted assignment or subcontracting by Buyer without such consent shall be ineffective and will not relieve Buyer of its duties or obligations under this Agreement. In the event of a proper assignment, the contract shall be binding upon and inure to the benefit of the Buyer’s successors and assigns. Buyer and Lapeer are independent contractors, and nothing in the Order makes either party the employee, agent or legal representative of the other party for any purpose. Neither party has authority to assume or to create any obligation on behalf of the other party. Buyer is not responsible for any obligation with respect to the employees, agents or legal representatives of Seller or its contractors. GOVERNING LAW, JURISDICTION, FEES AND STATUTE OF LIMITATIONS. The validity, interpretation and enforcement of this Agreement, matters arising out of or related to this Agreement or its making, performance or breach, and any and all related matters shall be governed by the laws of the State of Michigan. The provisions of the United Nations Convention on Contracts for the International Sale of Goods, and any conflict-of-laws provisions that would require application of another choice of law, are excluded. The Parties hereby irrevocably and unconditionally submit to the exclusive jurisdiction of the applicable state and federal courts of the State of Michigan. Buyer shall pay Lapeer’s reasonable attorney fees, costs, and expenses incurred in enforcing any provision of this Agreement. Any legal action arising out of or related to this Agreement, whether alleging breach of warranty or other breach, default or tortious act by Lapeer, must be brought by Buyer, or any other person making a claim under this Agreement, within two (2) years after the date of the receipt of the Product(s) sold herein, or one (1) year after Buyer or such person could reasonably have discovered the basis for the action, whichever comes first. WAIVER. No waiver shall be effective unless it is in writing. The failure of Lapeer to require performance under any provision of this Agreement shall in no way affect Lapeer’s right to require full performance at any subsequent time, nor shall the waiver by Lapeer of a breach of any of the terms and conditions of this Agreement constitute a waiver of any other breach of the same or any other term. SEVERABILITY. If one or more provisions of the Agreement should be or become invalid or unenforceable, the remaining provisions of this Agreement shall remain in full force and effect, and the parties shall substitute the invalid or unenforceable provision with a valid provision that as closely as possible achieves the same business purpose as the invalid or unenforceable provision. ENTIRE CONTRACT. This Agreement contains the entire understanding of the parties and is intended as a final expression of their agreement and a complete statement of the terms thereof, and may not be amended, modified or otherwise supplemented unless any such amendment, modification, or supplementation is done so in writing and explicitly references this Agreement and is signed by both authorized representatives of both parties hereto.